Spacious & newly furnished house in the heart of North Hobart - a vibrant neighbourhood with endless cafe's, restaurants & bars as well as the State Theatre. Walking distance to Hobart's CBD & 5 minutes from Hobart's finest cafe & restaurant precinct. 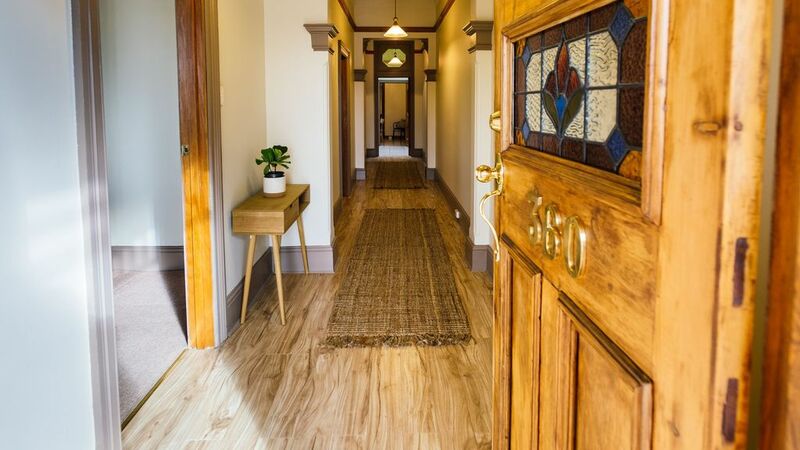 Everything that you will need is at your doorstep - Hobart CBD is within 2km - 20 minute slow walk (10 minutes if you are speedy), the North Hobart Cafe's, Restaurants, Grocers and Brewing Houses are all within a 5 to 10 minute walk. You will not be disappointed with our well equipped house which has been set up to accomodate 3 couples or a group of 6 friends. If you are visiting Hobart to enjoy all of the fine things on offer, our space will provide the perfect comfort for you to base your self. Our space is unique because it has been refurbished in April 2017 with brand new furniture - including luxury 5* hotel quality beds and linen. The kitchen is well equipped for everything you will need - you can enjoy a pre-dinner drink prior to stepping out to the local restaurants/cafes all within a 5 minute walk or you can prepare your own meals in our well equipped kitchen with local Tasmania produce from neighbourhood Grocers or the Sunday Farmers Market. Walking is the best way to get around and see all that Hobart has to offer. A bus service is available from the City to North Hobart. If you have a car, there is a small off-street car park at the house..
We had a thoroughly amazing stay, the house is clean, wonderfully furnished and well positioned at the heart of the Hobart cafe scene. Will stay again!